Holidays and tours are never just made by the sightseeing experiences, conversing with locals or trying out new flavors and feasts. Where you stay can make or break a trip. 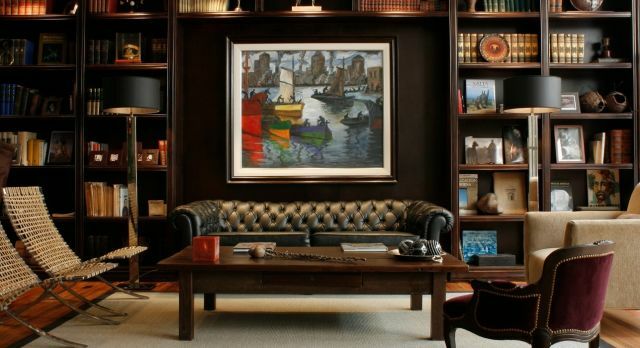 Hotel chains that provide luxury experiences definitely have their perks. But for those who wish to embrace the culture, you’re far more likely to receive this if you’re just one of a handful of guests in the hotel, which is why we personally test all our accommodation. We’ve handpicked our favorite unique and boutique hotels and lodges across all our Enchanting Travels destinations – the premise being that they all have fifteen rooms or less. Located amidst Santiago’s flagship district, Lastarria, the hotel exudes a sophisticated charm unique to this area. Each of the fourteen rooms is stylishly decorated and furnished. With a small fitness room, a massage parlor, a small pool and a delightful breakfast room, the Lastarria Boutique hotel offers an intimate ambience, modern equipment and an authentic atmosphere. Ansara is a charming small boutique hotel located within walking distance of monasteries, markets, restaurants and the Mekong. With just twelve rooms and two suites, the personal service and modern amenities rooms make the Ansara an ideal place for an insight in Vientiane. The Legado Mitico enjoys an amazing location in the bohemian neighborhood of Buenos Aires’ Palermo Soho. Combining traditional contemporary styles, it is ideal for those who seek an authentic and sophisticated stay. Great attention has been paid to details in the eleven rooms, which feature unique artwork, furniture and small design touches with a distinct Argentine accent. The Legado Mitico is beautiful and welcoming, with a lush back yard, terrace solarium and jacuzzi. Avant-garde design, a pleasantly calm ambiance, and beautiful views – are the high points of this work of art called Playa Vik, a hotel property in Punta del Este with just four suites. An excellent restaurant, an outdoor grill area, a small spa, and a fabulous black granite pool make this an unforgettable stay. Right in the center of the most famous winegrowing region of Argentina, the Finca Adalgisa is situated amidst the heart of the vineyards. Tour the area, taste the wines, and explore this old private house. The 11 rooms are cozy and tastefully decorated, and will make you feel right at home. This small boutique heritage hotel in the erstwhile Mewar Kingdom, is a wonderfully restored palace having just five individually decorated suites, each with distinctive character and flair with private balconies, en suite baths and requisite amenities. Perched atop a hill, overlooking splendid vistas of the River Chambal, its interiors have colorful stained-glass, brightly-died fabrics, stone flooring and antique wood fixtures and furnishings. Feast on Rajasthani food on the terrace overlooking the river or nurse an aperitif on the lawns. Enchanting! 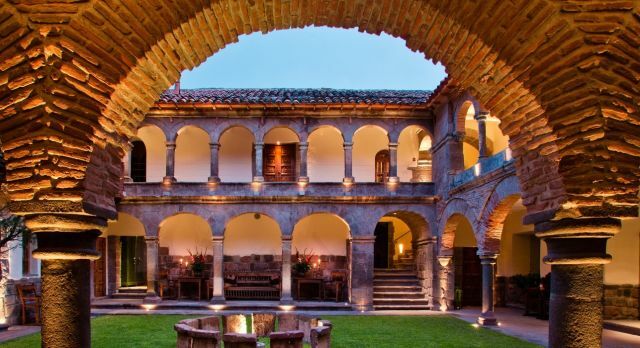 Conveniently located away from the hustle and bustle, yet near enough to enable an easy visit to the highlights of Cusco, La Casona is one of the most luxurious hotels in the city. This is a wonderful example of colonial flair in harmony with local elements. Relax in one of the 11 suites, preparing for your interesting stay in the Andes. Lovely fabrics, freshly cut flowers and a pleasant air of elegance, all make this hotel a cut above the rest. Located in the charming hill district of Santa Teresa, the Casa Amarelo is characterized by the personalized touch of its French owner. Enjoy refreshing vistas of mango trees in the garden and the small waterfall, or simply relax in the nice pool offering a view of Rio de Janeiro! Don’t forget to savor the delicious breakfast that can also be served on the terrace! With only five rooms, the Casa Amarelo guarantees a peaceful stay with an amazingly personalized service that will make you feel at home! Ten spacious traditional-styled bungalows have been placed discreetly amongst towering bamboo trees providing total privacy. With each one boasting handcrafted teak bathtubs invites a sense of indulgence. With blazing log fires and views of distant mountains, this is an exotic garden paradise. Purity is the perfect setting for a backwater vacation, offering art, design, Ayurveda spa treatments, yoga and waterfront dining in its pristine lakefront settings. Purity offers four unique deluxe rooms and two suites and all rooms have terraces and verandas overlooking the lake. 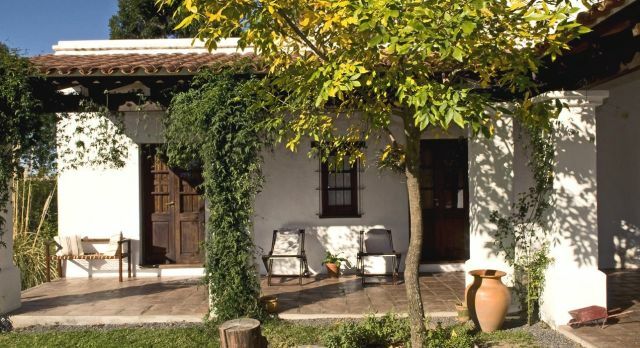 With distinctive artwork and antiques, this is a very special experience away from the crowds. Explore the best in luxury, boutique and unique accommodation with Enchanting Travels today!